The Wasabi, designed by Rafal Brzeski and produced by WE Knife Co., is a folding knife that exhibits elegance and robustness at the same time. Famous for its robust, tactical and overbuilt folding knives, Zero Tolerance surprises with the 0450, the smallest EDC produced by the prestigious Company from Tualatin. 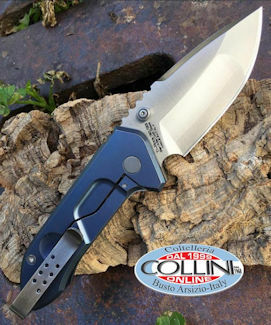 The Homefront, last year’s award-winning folding knife due to the innovations introduced by Ken Onion's Field Strip technology, is now produced by CRKT in the new EDC version. 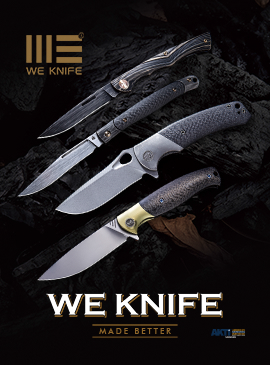 The year was 2000 when Wayeahknife from Yangjiang, Guangdong Province (China) produced OEM products only, and then became one of the largest manufacturers and exporters of high-quality knives and tools, to the point of creating their own brand "WE Knife" in 2014. Last year's collaboration between Zero Tolerance and Les George produced the ZT 0909. This is a robust folding knife designed to meet the needs of professionals, military and law enforcement. One of the most interesting innovations of last year was the 0456, produced by the American Company Zero Tolerance, and based on Dmitriy Sinkevich's custom model, "The Pole".